I make emphasis on ‘the accomplishments of one’s goals’, because this meaning is what makes the definition of success personal. 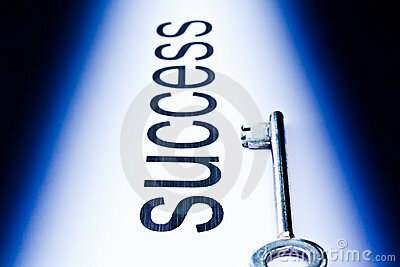 Success is usually defined through material benchmarks that point to the accomplishing of one’s goals. The purchasing of a home, earning a college degree, reaching a six figure income job, owning a new Mercedes, having a son, or daughter that goes to a top Ivy League University, and on and on. However, are these common measures of success really the true success we seek, or are we conditioned by our environment and modern world to accept these standards which we call success? I believe the latter to be true. Entering our teenage years, we are told by family members, and other authority figures, that our adult lives are to follow a specific set direction. That path includes going to school, obtaining a financially stable job, marriage, children, a house, a car, vacations, etc.. The measure of success, which we are taught to seek, is focused mostly on material gain and benchmarks. The more material gain we secure, the more success we reach. I like many others, had to reach well into adulthood to realize that success is not a measure of materialism, money, or power. The world’s form of success can lead to greed and selfishness. The striving for money and more material goods is not what the human spirit is about. My definition of success is probably not found in any dictionary. To me success is when we realize we are on this earth to help others. The measure of success is based on how many people you can help, in any way, without expecting anything in return. We all have experienced doing something good for someone in need. Remember how it made you feel? Now multiply that every day and you will live my meaning of success. That is a great meaning of success. I guess I still think I need some financial security in order to be successful. Not a new house or a new car, but the ability to maintain my old house and used car and pay all my bills. Then I have energy to help others. Thanks for reading and commenting. Keep doing what you are doing.